How can the Internet of Things improve and innovate construction processes? IoT automates tasks that waste human hours, with huge implications for construction, a vertical that has been slow to move into the future of IOT operations. Job sites run on data and communication, but many processes are outdated. Clipboards are slowly but surely becoming a thing of the past, with rugged devices allowing constant connectivity and real-time interaction. The future of IoT-driven construction goes beyond digitizing paperwork, however – eventually every piece of equipment, every shipment of materials, and every individual involved with a project on and off site will be synced to a central server that monitors their movements and activity and updates across multiple systems and devices. Building information modeling (BIM) can use data from multiple sources to create a comprehensive, intelligent, 3-D building model, with every aspect of its proposed structure and systems mapped out in detail. During design and construction phases, any changes to one set of plans are updated in real time across all other impacted plans that are part of the same project. BIM can be used to catalyze smart buildings projects and inform future builds. Once the project is complete, data from IoT sensors placed during construction can be subsequently retrieved by the BIM and used to model various processes including energy usage patterns, temperature trends, and personnel movement through the building. Output from such constantly updated models can analyzed and compared with other structures data to help improve design, construction, and management of future projects. The construction industry drives a massive percentage of U.S. based landfill waste with over 30 million tons of waste generated every year, according to Statista; up to 40 percent of all solid waste is estimated to come from building projects. Sustainable architecture and green construction began as a way to conserve energy and keep building materials out of landfills. However, now green building is also impacting design and engineering processes in construction, providing ways for energy management and maintenance to be sustained in an environmentally friendly manner for the lifespan of the completed building. Green buildings can monitor energy usage and foot traffic, shutting off non-essential processes and automatically taking advantage of natural light and temperature factors. 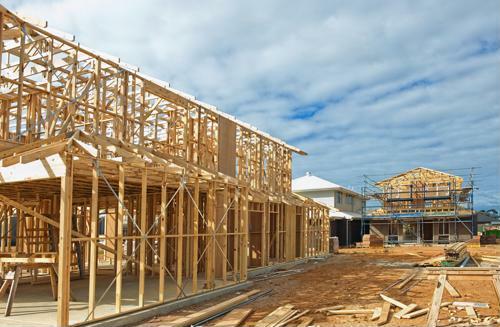 Prefabricated building components add speed and cost efficiency to many projects and lend themselves well to building in more remote regions as well as in crowded inner city areas when minimal disruption to existing communities is desired and less construction waste is ideal. However prefabricated components can be difficult to integrate into large commercial building projects, due to the complexities of supply chain management and the many moving parts of a massive jobsite. IoT changes the way the process works, allowing logistically complex tasks to be broken down into manageable steps. RFID sensors can provide easy tracking of materials with tight coordination between vendors, on-site managers, and off-site oversight teams. Downstream delays can be minimized and mitigated, while each step of the building process allows data to be fed from sensors into a central hub network, creating the live version of a previous 3D model. 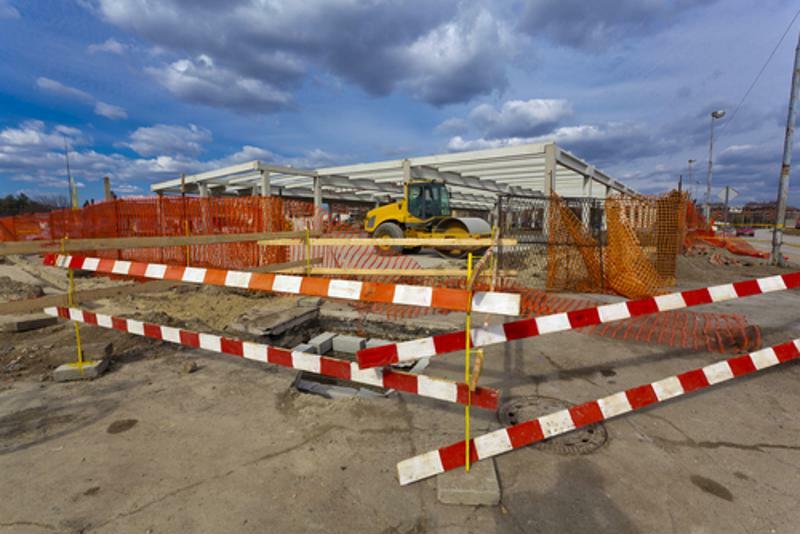 Delays on a construction project rapidly cause overruns, and heavy equipment failure is one of the main causes of delays on a jobsite. With IoT-connected machinery, any issues or maintenance needs can be recognized early and addressed, with steps taken to rectify the situation or bring in a replacement piece of equipment. Heavy construction equipment that is outfitted with sensors allows for remote monitoring for key indicators of problems such as temperature fluctuations or excessive vibrations, allowing for predictive maintenance before actual equipment failure. In addition, on-site measuring technologies such as centimeter-accurate GNSS and LIDAR can be utilized for machine guided construction, adjusting heavy equipment automatically and safely to grade, pave, drill, or pile materials being removed or brought in. Other build activities can be coordinated and planned based on progress, allowing for tighter scheduling and better productivity on tight deadlines. The future of IoT in construction can provide unprecedented insight into the status of each build, but full integration requires reliable connectivity. Perle is able to help in bringing IoT functionality to job sites. Our comprehensive array of ethernet extenders and terminal servers provide dependable support for construction endeavors form concept through completion and beyond.